Quick and easy frames are a staple in the DIY world because custom framing is SO expensive and takes forever. 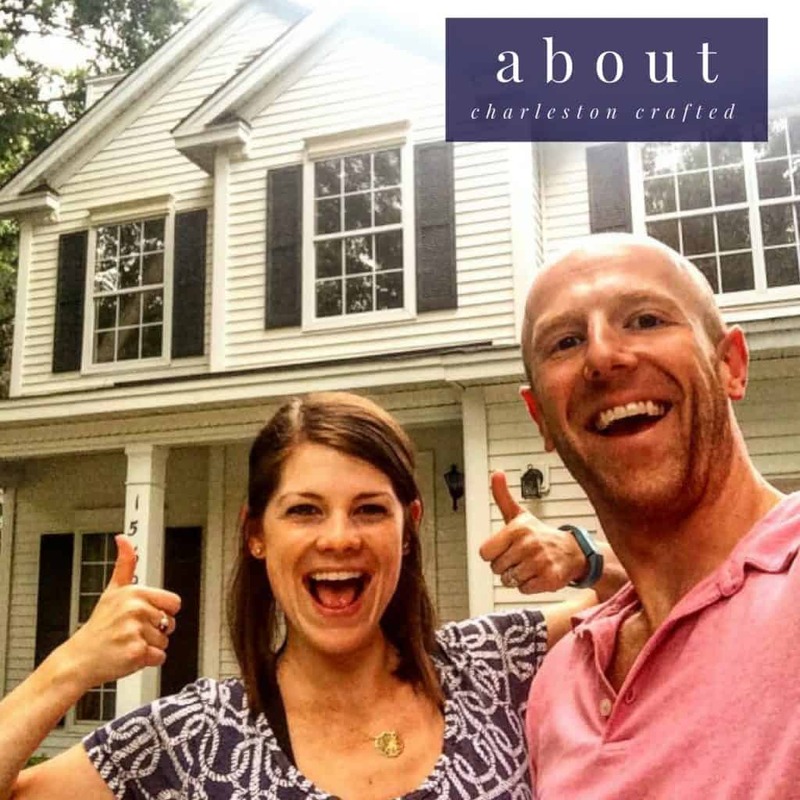 If you’ve ever tried to make a frame, you know it can be done exactly to your specifics. 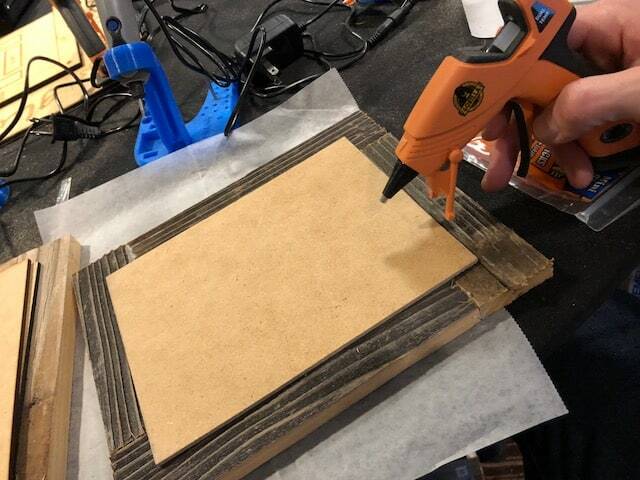 At the recent Haven Conference, I went to the hands-on class hosted by Dremel and Gorilla Glue on how to make quick and easy frames and wanted to share with you how we did them! The packed class was eager to try a few new gadgets from both companies and make quick and easy frames. 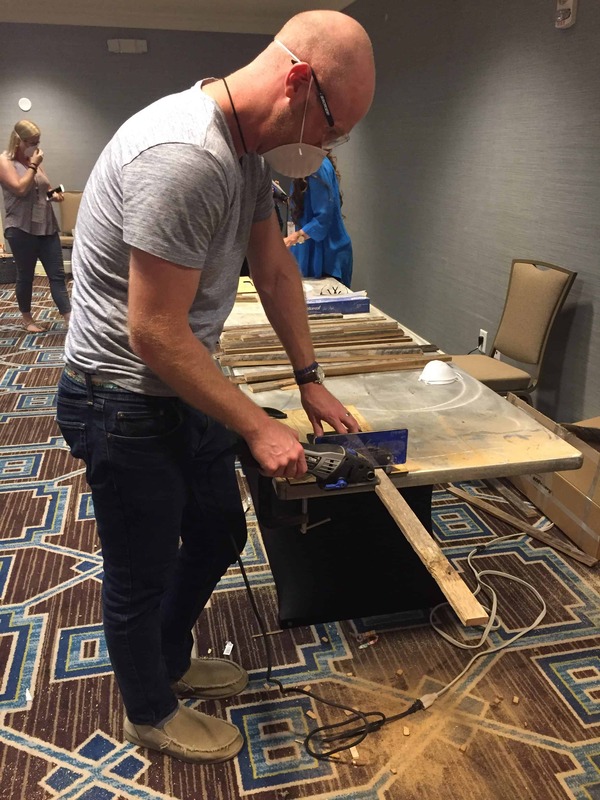 We started by having Dremel show us their Saw-Max, a versatile saw perfect for cutting a wide variety of materials. We used this to cut strips of reclaimed wood for our frames. 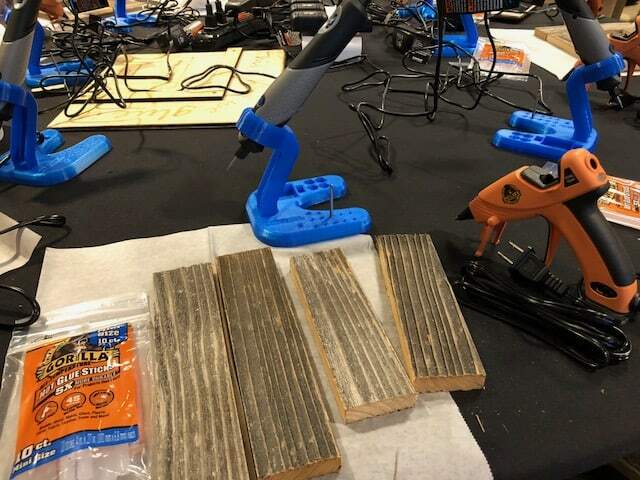 Next, we used Gorilla Glue’s new hot glue gun, which isn’t even available on the market yet! This tiny tool packed a hot punch and melted their tough hot glue quickly and thoroughly. To make the frames, we just glued our four wood pieces together in an oscillating pattern. The glue dries super quick. 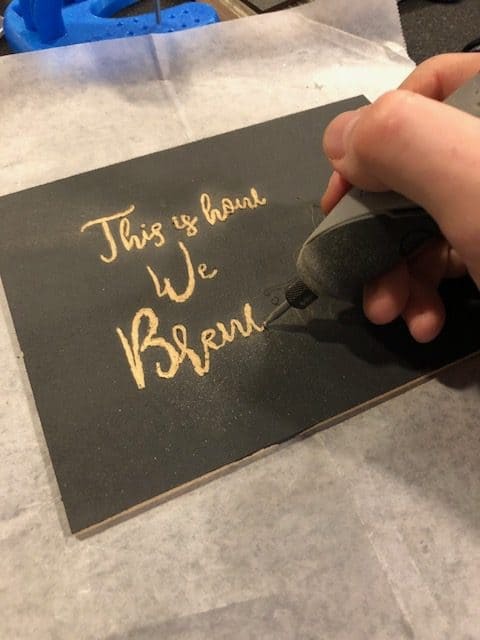 We next went back to Dremel to use their new Stylo+ rotary tool to etch designs into small chalkboards. They provided us with pre-etched boards to trace as well as blank boards to free-hand. I tried both and had never used a Dremel rotary tool before and quickly picked up the hang of it. It was smooth and etched out beautiful designs really quickly. 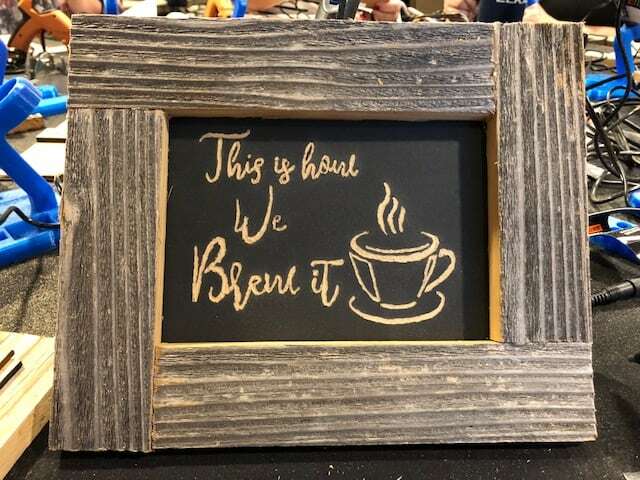 Finally, we used the Gorilla Glue hot glue gun again to glue the chalkboard onto the frame. Cut four pieces of wood to length. To do an oscillating pattern cut two of the four pieces shorter by the width of your boards. Use hot glue to bond the frames together. 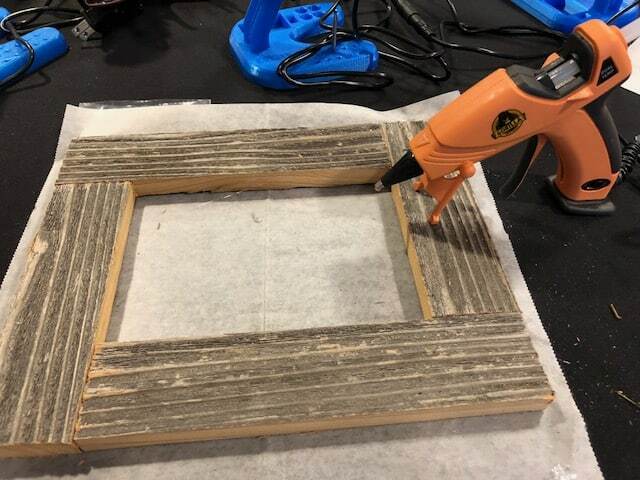 Use hot glue to bond whatever it is you’re framing to the back of your new frame. 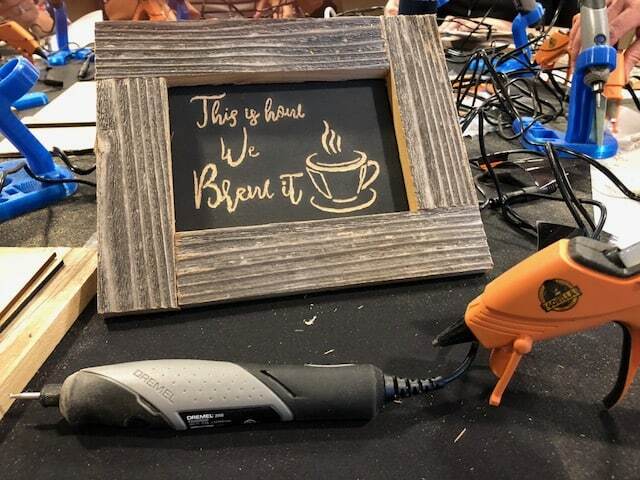 I loved testing out Dremel and Gorilla Glue’s new products at their hands-on class. I was also lucky enough to be picked for their Instagram contest and won all of these tools used plus Dremel’s Versa Power Cleaner, which I can’t wait to test out on our shower and stove top. Thanks again to Dremel and Gorilla Glue for showing people how quick and easy frames can be!